How would you like to have a phone that you can dress up whatever you like? Now, you can! 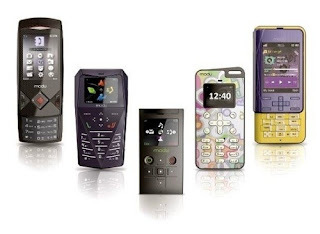 Recognized by the Guinness Book of World Records as the world's lightest yet fully-functional phone, the customizable and modular modu™ phone is sure to be an eye candy for techy and gadget enthusiasts out there. 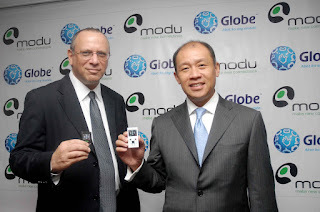 Globe Telecom and modu™ Ltd. has recently signed up a partnership to bring this breakthrough phone to the Philippines. modu™ phones only weigh 1.5 oz. yet fully loaded with a music player, mass storage device, and a 2 GB memory. It was founded in 2007 by Dov Moran, inventor of the USB Flash Drive (DiskonKey™) and other groundbreaking personal storage solutions. Globe will be distributing the phones locally through its exclusive distributor Lynk Communications. I'll keep you updated on its retail price. For now, just visit www.modumobile.com to view the product catalog and see for yourself the awesome jackets that this tiny phone can fit into. 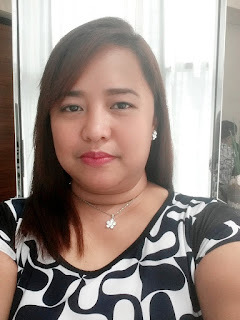 I think I'm gonna head out to the nearest Globe Business Center to have a look feel of this cutie. Now I know where to slip my new Globe Tattoo sim in! [insert Plurk evil_smirk emoticon here] Haha! Globe is simply amazing. imagine bringing up modu here is way too good. though i still prefer my iphone 3gs over it which i subscribed to their plan 899 16GB.